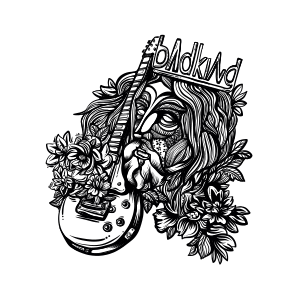 Bad King, a rock-monarch from Turku, Finland, was crowned in late 2008 when the musical ambitions of three men took the same path. The goal was to become a band known for its energetic shows and beautiful melodies. A few months later the band acquired a lead-guitarist , and finally this group of blue blooded troubadours was ready to step onto the stage. Bad King is made of four experienced musicians; Juuso August Suominen gives the band his distinctive voice and plays guitar. Vesku Paasivaara plays lead guitar and his brother, Jukkis Paasivaara, provides the rumble from down under. All this is bound together by drummer Patrik Kivekäs. In 2011, the band released ”Roll Me Over”, a single that was warmly welcomed. A review of ”Roll Me Over” stated Bad King to be a technically talented, hit-seeking modern rock band. In 2013 the band was signed to V.R. Label Finland, and the band’s debut album Jesterday was released later that year. Bad King © 2019. All Rights Reserved.